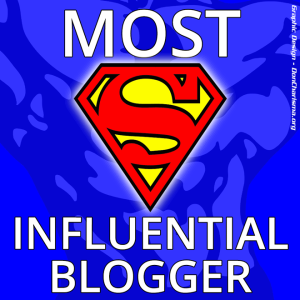 With that odd sensation of feeling simultaneously both humbled and flattered, I share the news that the fey Eily Nash, who does the wonderful blog “Gossamer Threads” (www.eilynash.com), has nominated me for the Most Influential Blogger Award. Thank you so much Eily; I am very honored that you would add me to your list. 1.http://debibradford.wordpress.com Debi has become a dear friend here on WordPress, and, among other things, we share a love of photographing sunrises. I have found her photos to have an exceptional soulful quality that are mirrored by her reflective words. 2.http://ninaochiolino.wordpress.com I forget how I stumbled upon this amazing French Photographer, but the vibrancy that Julie brings to her photos is simply stunning. 3.http://havehest.wordpress.com Ann Novak shares her nature photography from Sweden. She seems to be out in the natural world all the time! Like Ann, I’ve been an avid bird watcher; she frequently expands my birding horizons with pictures of birds native to her land. 4.http://naturehasnoboss.wordpress.com Another great nature photography blog, Michael Bizeau & Christine Schultheis share their photos from Colorado. And I so like the title of their blog, it resonates every time I see it when their posts come up in my Reader. 5.http://laurabruno.wordpress.com Laura’s blog is a wonderful blend of all things spiritual. One is always uplifted by spending some time reading her posts. 6.http://taniamarieartist.wordpress.com Tania is another wonderful spiritual blogger who posts lots of great info, and, as it turn out, is a good friend of Laura’s. Amidst all of us blogging from far-flung corners of who knows where, it’s just kinda cool knowing that these two gifted women are friends in the world outside of the blogosphere. 7.http://sharoncummings.wordpress.com/blog-posts/ Sharon is a remarkable artist who uses a variety of techniques that I can’t quite put into words. So I’ll let her artwork speak for itself. Check it out. 8.http://htfisker.com/blog/ Hanne T. Fisker seems to be a world traveler who blends her extraordinary landscape photos with incisive poetry. 9.http://eddietwohawks.wordpress.com I have a deep appreciation for Eddie’s posts and his approach to blogging. I think there may considerable overlap in the paths that he and I have traveled. 10.http://ladybluerose.wordpress.com Maryrose has an exceptionally lovely blog that visually and poetically transports one to the beauties of her universe. My experience is not dissimilar from hers and this video brings tears to my eyes every time I watch it. Very moving.